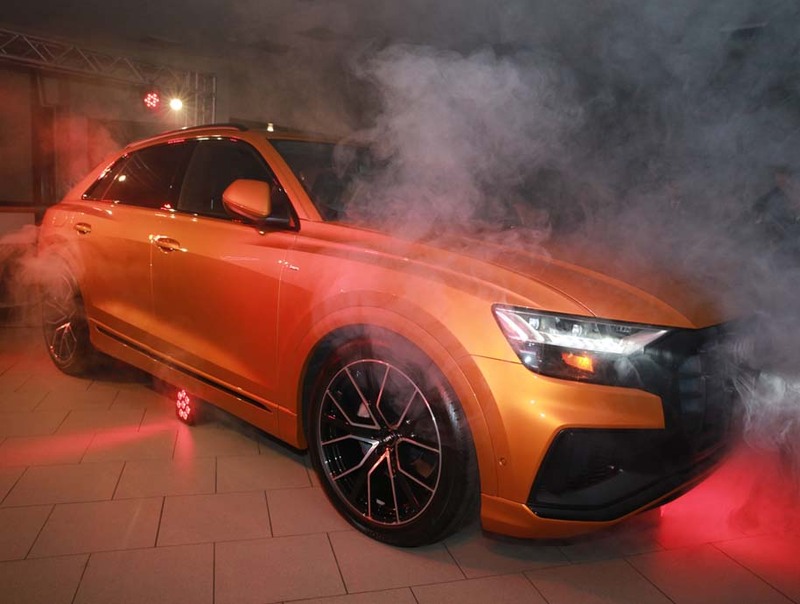 Rusnak/Pasadena Audi revealed the all-new Audi A6, A7, A8, and Q8 during an intimate launch event inside the Audi showroom in Pasadena early in November. 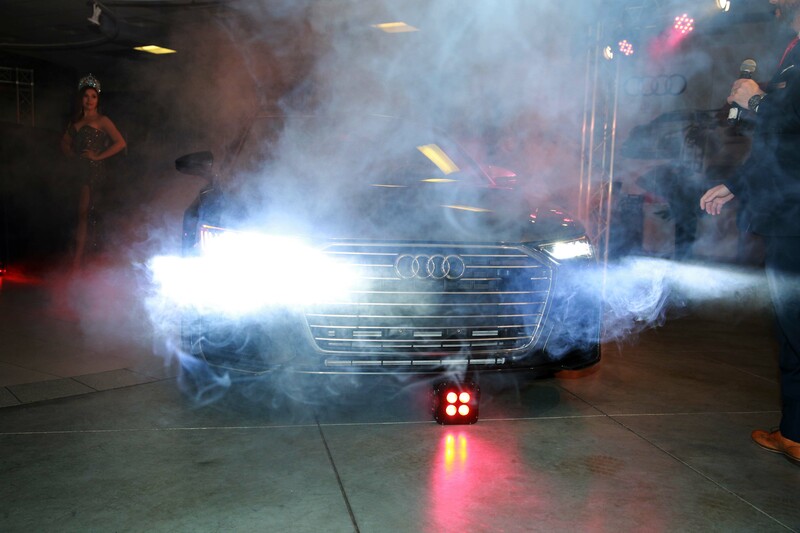 Smoke and suspense filled the air as Miss Orange County, Alicia Diaz, and Liz Rusnak Arizmendi, head of Public Relations at Rusnak Auto unveiled the all-new Audi vehicles. Attendees enjoyed catering by sponsor Rustic Gourmet and refreshments provided by sponsors ABK Beer, Bandero Tequila, and Bogart’s Spirits. Lighting, music, and atmosphere was created by sponsor Lionmark Entertainment. Dreams Magazine was the official media sponsor of the evening. To learn more visit audipasadena.com or audiwestlake.com. Photography by Chaz Hall.